Babies grow quickly in the first year of life. From breast or bottle your baby will be eating with a spoon by one year. Around nine months of age, most babies have the dexterity to to pick up small pieces of food, chew, and swallow them. This is when the fun starts as your baby is ready to try new foods as they learn to feed themselves. 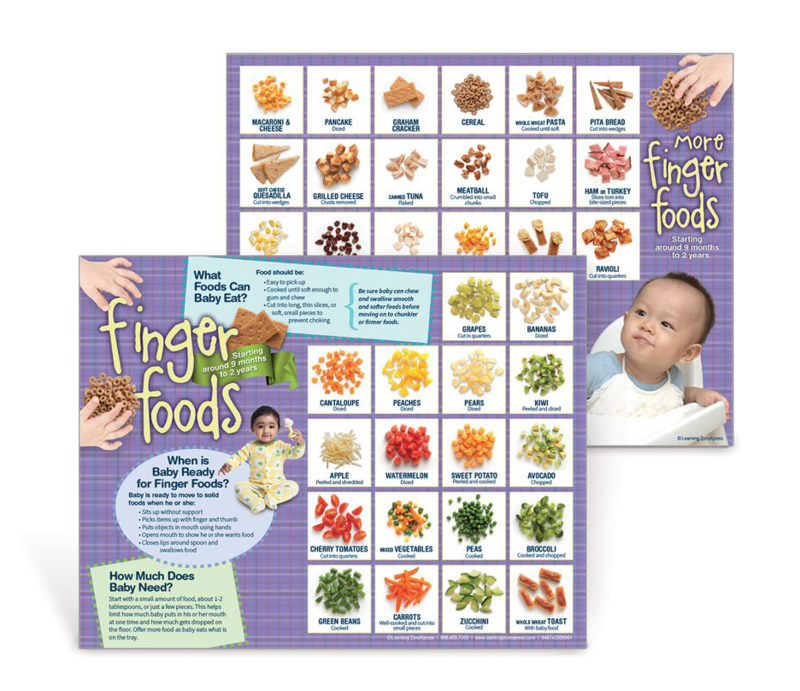 Prior to offering finger food babies will go through four stages of food: strained or puréed food, mashed with a few lumps, chopped with moderate lumps, and then small pieces of finger food. Each stage gets a little harder for the baby so be patience. Be sure the baby can chew and swallow food from one stage before moving to the next one. Once the first three stages are complete them the baby is ready for finger food. Even if they do not yet have teeth, your baby can gum soft foods. Here are some general guidelines to consider.